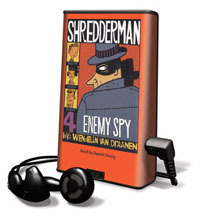 The big mystery in this fourth book in the series is "who is Shredderman"? As national media pressure mounts to reveal his identity, Nolan stumbles across a real spy ring, which leads to the arrests of his parents and favorite teacher. Will Nolan's quest for truth and justice mean losing his secret identity?